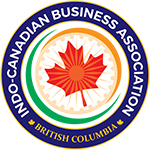 Our vision is to inform, educate and elevate all members of the Indo-Canadian business community by creating a forum which facilitates networking opportunities to enhance their business. Through the various activities and seminars, you will have an opportunity to meet and network with other business owners and professionals. You have the opportunity to work with ICBABC to sponsor and network alongside with various government and community leaders to serve your community and the community at large. You will be able to market yourself and your business to other business communities where you will get the opportunities to meet and build strong relationships. You will be able to liaise with various levels of government on issues that more affect the Indo-Canadian business community. These types of forums will provide you with knowledge, ideas and skills to promote and grow your own business dreams and goals.